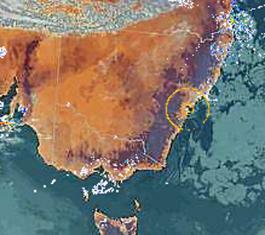 Sydney's strange radar, storms and UFOs - what is going on? on March 21, 2010 - see below. Read also report of UFO on satellite. 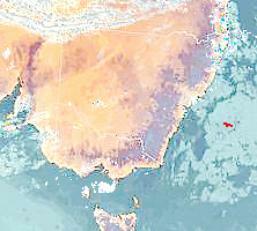 Numerous unexplained radar interferences continue to been seen across the entire country. deepened and hit the north east coast on the 20th. falling sadly short on answers. investigation which started on February 15, 2010. 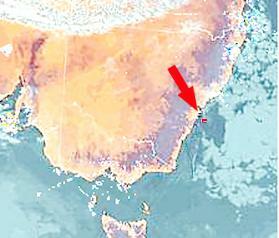 First recap: UFO on weather radar close to the Sydney coastline on February 25, 2010.
two small orbs came out of it and moved away (seen top right). Close up of both below. whom I can liaise, assist in ! 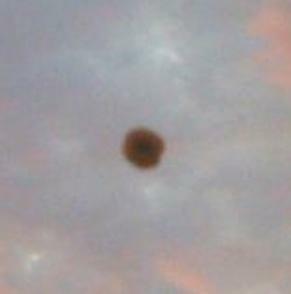 An alleged flying saucer seen over Passoria, New Jersey in 1952.
managed to capture a few images on her iPhone. few sunset photos on her iPhone when the amazing events began. 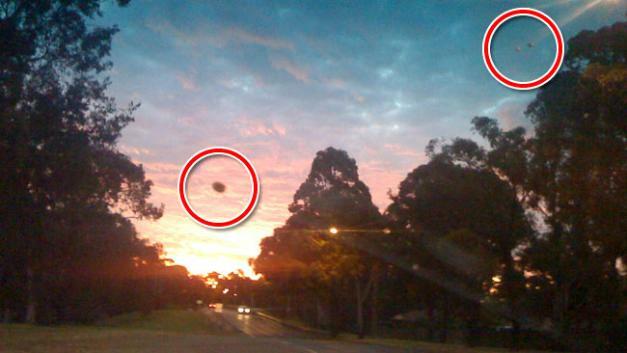 "As I was about to take the picture this black object appeared and then it started to move," she said. 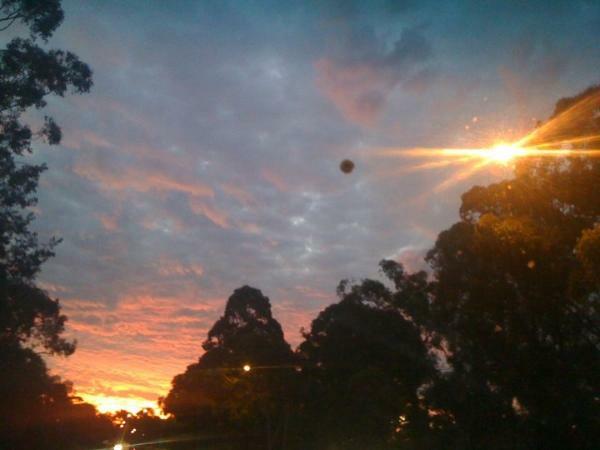 things appeared from this bright orange light above. We ask the important questions: Did the government really conduct experiments on aliens in Area 51? at the 10 biggest alien hoaxes. 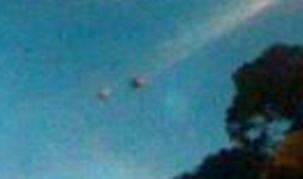 Sydney's south-west, with the smaller UFOs zipping away in the opposite direction. "I don't know how to explain it -- I'm still totally bewildered," she said................Whole story. 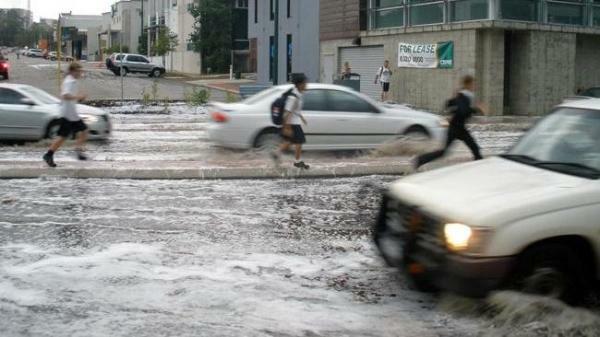 HUGE HAILSTORM: Hailstones batter gardens in Quinns Rock at 3.45pm on Monday. ferocity not seen in decades. caving-in roofs and damaging hundreds of cars. Storm: 16,000 still without power. and schools, and of roofs being ripped from newly built homes. damage to hospitals and aged-care facilities. part of the ceiling collapsed. the city power lines and trees were brought down, windows smashed and roads flooded. and filled one apartment with mud, but there were no reports of people hurt. Last night as Perth residents assessed the damage warnings were issued of further storms. damage to houses and schools, and of roofs being ripped from newly built homes. 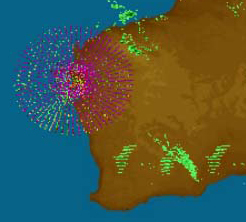 Tropical Cyclone Ului crossed coast near Airlie Beach shortly before 2 a.m.
as it continued inland, according to the bureau. Bowen and Saint Lawrence, the bureau said, but heavy winds are no longer expected. Queensland Premier Anna Bligh said in a statement. March 19, 2010 - Cyclone Ului off east coast. 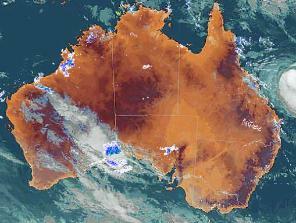 to 60,000 homes, Australian officials in Queensland said Sunday. 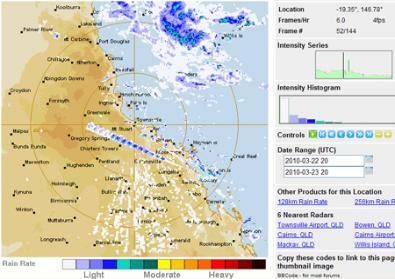 near Proserpine, in the Whitsundays, the report said. Coast, the Australian said, while lifesaving officials refused to call off the competition. the damage to homes and businesses in the region. March 22, 2010. A quarter ring over south west. madness keeps on coming. What is the answer to all this HAARP? 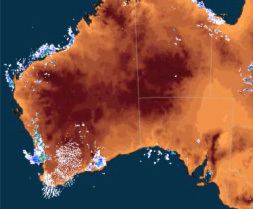 Check for yourself the Bureau of Meteorology weather radar located in Sydney during the time the three UFOs were photographed. 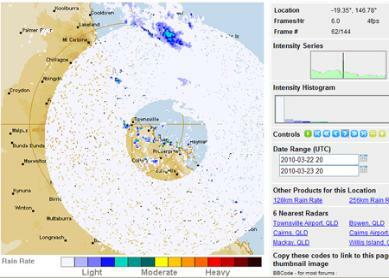 (thanks to Jack Verbeek) Sydney Radar Loop Sunday March 21. Note: Sunset was at 7:08pm (the local time is on the bottom right of the loop). If anyone should see something we missed please send an e-mail HERE. Australian Media Pick up on this story at last.